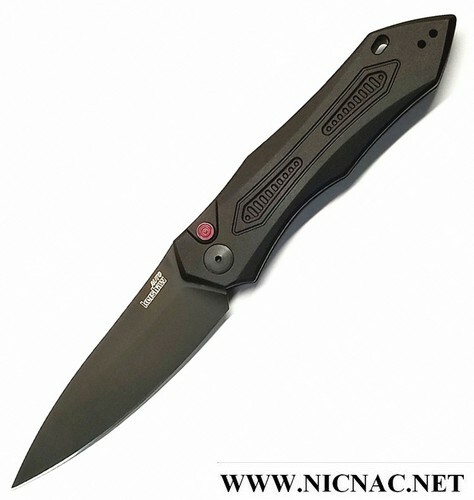 Kershaw Launch 6 Black Automatic Knife 7800BLK with a drop point flat grind 3.75 inch blade. This Kershaw knife is 8.70 inches overall open length and is right hand or left hand ambidextrous carry for you lefties out there! It had a DLC black steel coated blade and comes with a tip up pocket clip and these Kershaw knives are MADE IN THE USA!.